Turn on or off connected devices wherever you are at any time through any internet connection. This Smart Wi-Fi Outlet stays connected to your home network, so you can access your devices as needed on your smart phone through Smart Life. 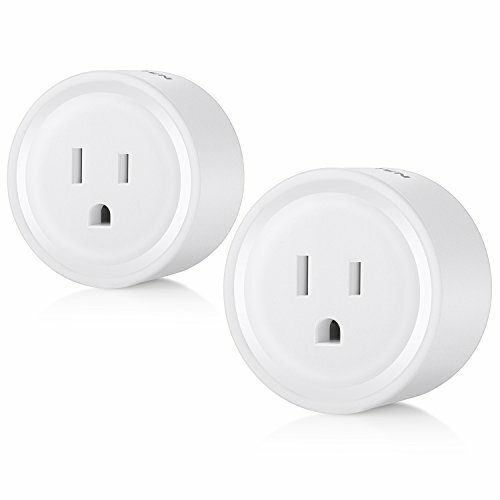 The BESTTEN Mini Wi-Fi Smart Outlet allows you to crate schedules to automatically power on or off your home electronics and appliances at anytime. You can create a schedule for each device anytime. The Smart Plug works with any Wi-Fi router without the need for a separate hub or paid subscription service. Fireproof poly-carbonate housing greatly reduces fire risk. FCC Certified. With an industry leading 1 year warranty, we guarantee trouble free service. Please note: The max power is 1250W.